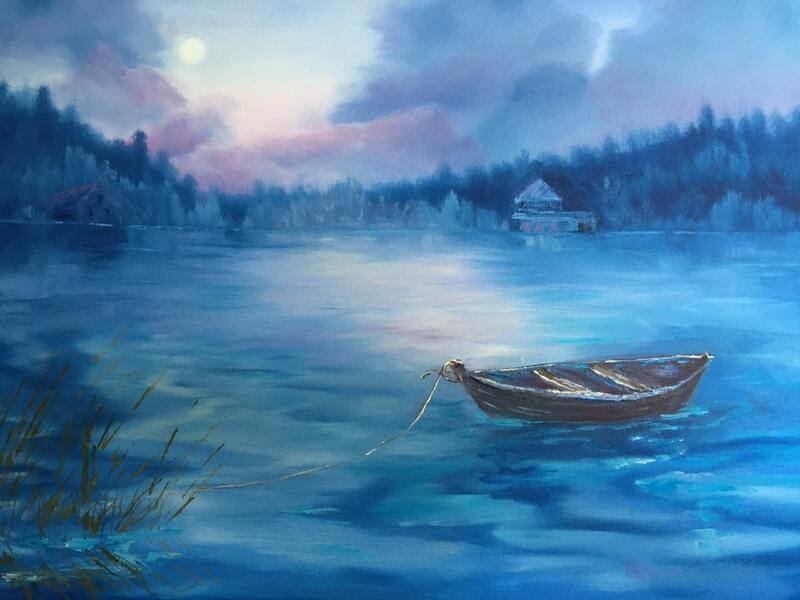 MOONLIT NIGHT AT THE LAKE is a 16” x 20” Unframed painting. This is a wonderful painting of a row boat moored at the lake. It's a night scene, with the full moon lighting up the beautiful clouds of a coming storm. The moon is reflected in the water. 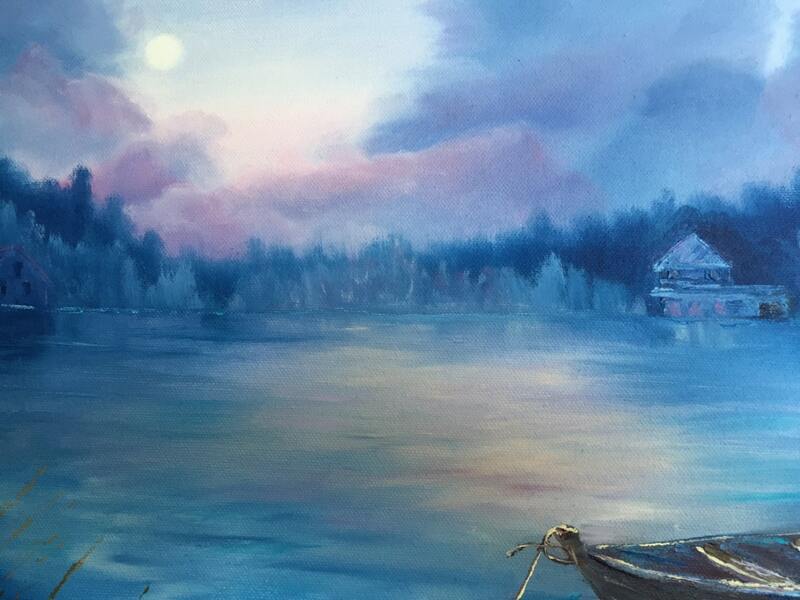 In the background is a wonderful panorama of shore and houses on the lake. This painting is a mixture of various shades of blues, ranging from cobalt blue to the deep prussian blue. This is a wonderful piece that anyone would be proud to own.